Holiday Preferred Customer Specials 2017 | Faddegon's Nursery, Inc.
Oct 27, 2017 | Holiday, What's New? Buy the necklace for $15 and get the earrings for FREE, a $19 value! The necklace has a 16″ chain with a 3″ extender. The earrings are 1.25″ in length. Druzy – Tiny crystals of druzy quartz have superior sparkle and durability making it a great choice for the holidays or anytime! While supplies last! Get yours today! Give the gift of cozy warmth for the winter season! Scarves are an essential accessory during cold New York weather and this one has been an absolute favorite here at Faddegons. We decided it would be fun to bring our happy scarf to you! 72″ x 10″. Preferred Customer Price $6.98 ea. Looking for easy-to-give gifts? Co-workers, hostesses, and friends are always on our holiday gift giving lists. We’ve selected holiday and everyday items that ease your shopping woes and make your pocketbook happy too! Hurry! All items are available while supplies last. 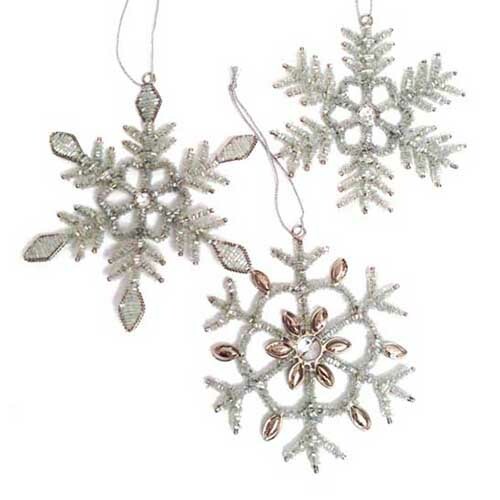 Choose from three styles of snowflake. These intricately beaded ornaments are sure to make any tree sparkle but could also hang from your chandelier or in a window. So pretty! Approximately 5-6″ in diameter. Choose from two styles of nutcracker bell. These shiny and colorful ceramic ornaments are sure to brighten any tree but are nice enough to hang alone on an ornament stand or from a mantel. Painted with attention to detail! 5″ in length with a bell diameter of 3″. Preferred Customer Price $7.98 ea. We’ve decorated this mini berry wreath with holiday ribbons so you can have instant decor! Red matte berries are arranged on a 7″ ring allowing this little gem to fit anywhere that you need some extra cheer! Preferred Customer Price $14.98 ea. Will we ever stop finding buffalo plaid items for your home? We hope not! This year we found everybody’s favorite plaid on a cozy fringed throw. It’s 100% acrylic so no worries about washing it. The throw is 50″ X 60″. This lined zipper pouch is made of exceedingly soft lattice patterned velvet in your choice of three colors. Use for makeup, charging cables, or hair accessories. It has so many uses that given as a gift, you can be sure the person that receives it will love it. Preferred Customer Price $5.98 ea. This beaded trinket box is encrusted in pearls, rhinestones, and silver beads adding up to a unique and beautiful design. Lovely sitting on someone’s desk or dresser! The box is 2.5″ in diameter. Why shouldn’t the birds outside your window enjoy the holiday season with you? Packed with protein and ready to give your wild birds the food they need as cold weather moves in this seedball will look festive hanging on a nearby feeder or tree branch! Makes first-rate gifts for the bird lovers on your list! Back by popular demand! We just have to say…these trees are mesmerizing! Swirling glitter plays in the light inside a lucite tree. You won’t be able to stop looking! Don’t delay in getting yours. They go fast! Gently curled up a fox adorns this white ceramic box. Whether holding jewelry on your dresser or helping you organize your workspace, this item will bring peace and thoughts of nature to you or a friend. 5.5″ in height and the same in diameter. This set includes a wooden cheese tray, cocktail napkins, and a whisk all dressed up for the holiday season. This is an item that anyone would be happy to receive when you arrive for a visit! Preferred Customer Price $9.98 ea. A delightful stocking stuffer for the wildlife lover on your list. Made in Maryland by Alice’s Cottage, this sweet tiny tote carries a stash of seeds that any number of winter foragers will be thrilled to find. This is a great gift for the little ones who love to feed the animals! Carved in wood and sporting a bit of glitter, this ornament is meant to hang on the tree or off. At 8.75″ in diameter you can happily display it on the mantel, in a powder room, or any spot that calls for a seasonal decoration.